Having a healthy and glowing skin is the ultimate goal of most of us. We all have skin imperfections like acnes, large pores, black and white heads, scars, and even sun damage due to some reasons. I admit, I don’t have that perfect glow but my skin surely feels and looks healthy. To achieve that healthy and glowing skin, you don't have to buy expensive skin care products, luxury facials and other expensive treatments. I, myself don't spend too much on buying high-end brands, skincare products from drugstores are often as effective as expensive ones. 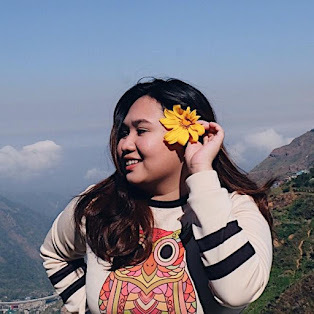 You just have to live healthy and you can follow these tips that I believe the most effective way in having healthy and glowing skin. Having a good night sleep is as important as drinking water in order to achieve that healthy and glowing skin. It can bring a lot of benefits to our skin. Water maintains our body fluids, it has the ability to flush toxins that keeps our skin clean, pushing out bacteria and reducing the risk of acne and other skin problems. Every morning, it is important to wear Skin protections like Day Cream or Sunblock. It can protect our skin from the sun's UV rays, pollution, and dust. This is something we tend to forget specially when we are exhausted. Sleeping with your make-up on is a big NO! Always make sure to remove your make up as early as you get home because it can lead to breakouts which we don't like! Worst is, it can cause extensive damage to our skin if we let is sit on our face over night. 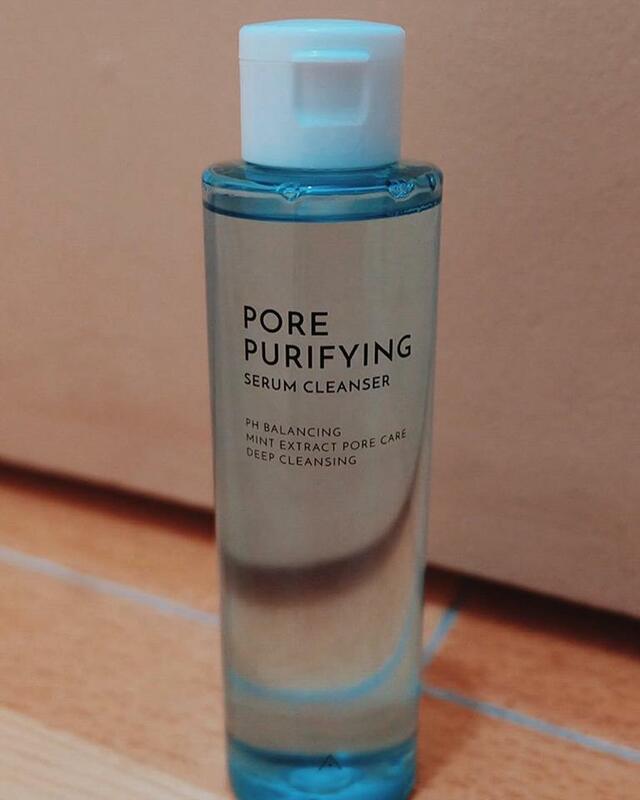 It's the Pore Purifying Serum Cleanser! This is not just a cleanser but a serum cleanser! It whisks away make up, dirt, and oil with mint extracts while ensuring my skin stays cool and hydrated. It also prevents my skin from drying out and effectively minimizes enlarged pores, keeping it smooth to the touch! This is good for all skin types and you can get this at Althea Korea. Exfoliation is the removal of dry and dead skin cells on the surface of our skin. It's just as important as cleansing and moisturizing. For me, exfoliating is one of the most important aspects of my skincare routine not just on my face, but the whole body. So I make sure, I exfoliate my skin 2-3 times a week. A gentle scrub could do such wonders to our skin! I used Aloe-Vera gel all the time! It acts as my moisturizer. It moisturizes and soften my skin while simultaneously hydrating it without giving a greasy feel. Recently, I just discovered that it also works well on the acne at my back (bacne) and it minimizes the appearance of stretchmarks. Maintaining a healthy and glowing skin is quite hard to do because we neglect doing this important things sometimes. But trust me, if you followed these, your future self will thank you! Thanks for the tips. I also go for the basic ones as I don't have the budget to splurge on expensive ones. I agree with aloevera mosturizer :) am actually using it daily. I totally agree with Sleep + Drink more water! I'm super guilty of not removing my makeup before sleeping. I guess I need to be more disciplined to achieve a better skin. Sleep and drinking water is perfect! I also apply sunscreen on my face during morning, and even indoors because of those artificial lights. Just what I needed! recently my face gets too stressed, im getting pimples, dark undereye and wrinkles. Where can I buy an authentic NU collagen btw? oh and thanks for sharing this! These are great yet easy tips to get that healthy glow. Even for men, good sleep, drinking lots of water and basic face washing can do wonders.